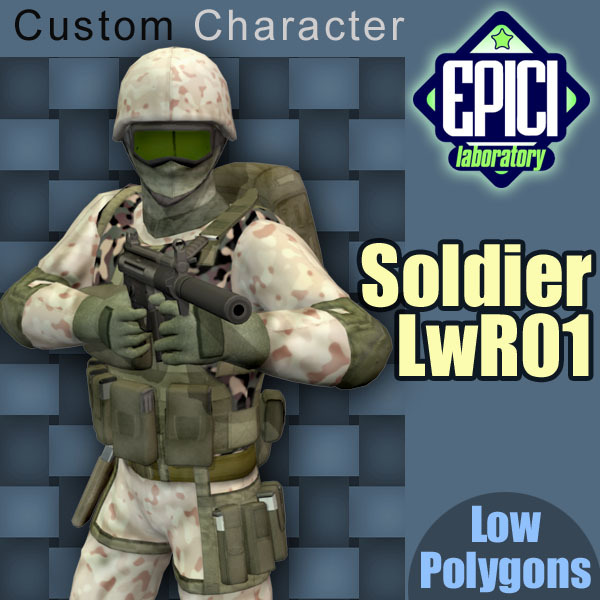 A low polygon model of a Special Forces soldier. 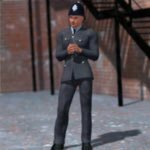 If you need 30 characters in your scene, then this is the figure you need. 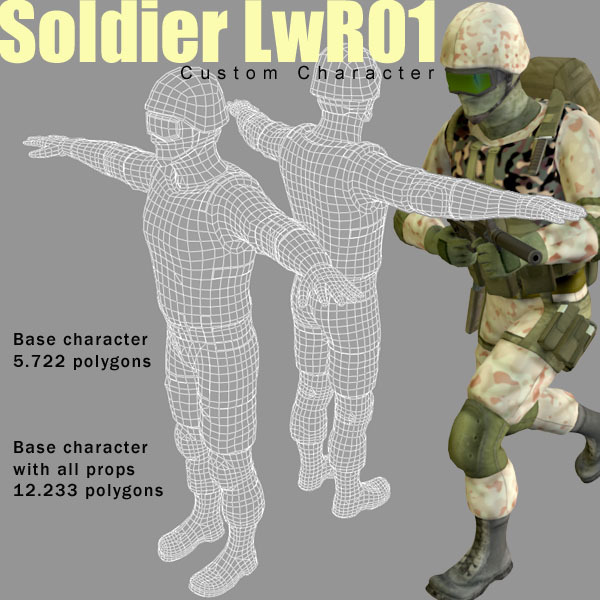 SoldierLwR_01 is new stand-alone, low polygon character for Poser. 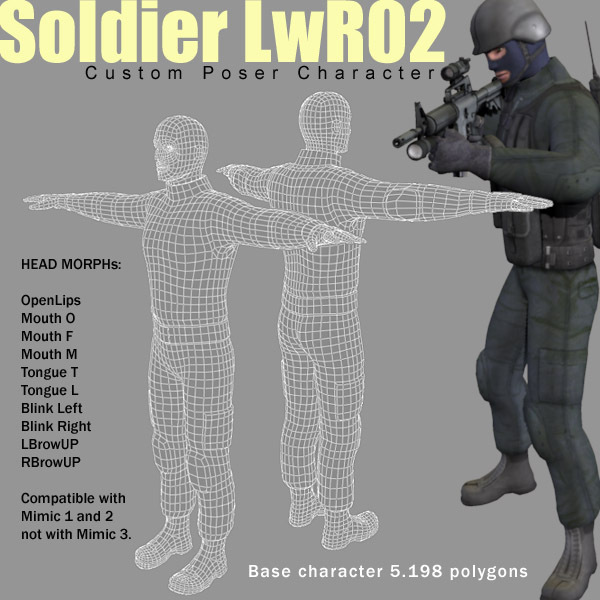 The Head have a "OpenMouth" morph to simulate the soldier speech. 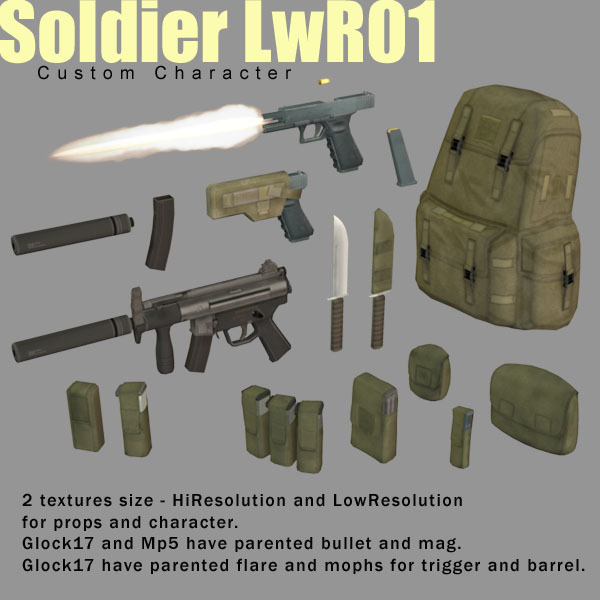 The Glock17 have parented ballet, loader and flare, 1 morph for trigger and 1 for barrel. The Mp5 have parented ballet, loader and silencer. 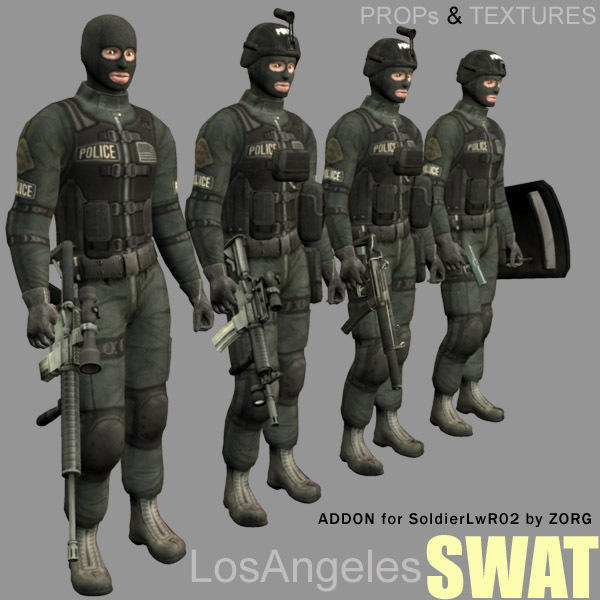 Add 10 or 20 figures to the scene without overloading Poser, the CPU and the video board. 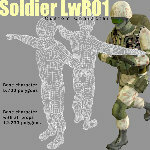 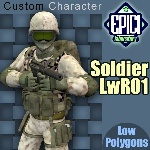 SoldierLwR_02 is new Low Polygon character for Poser. 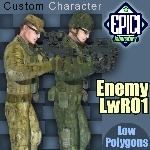 Based on the mesh of EnemyLwR01, this figure can use every prop, pose and animation made for EnemyLwR01. 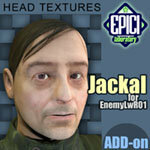 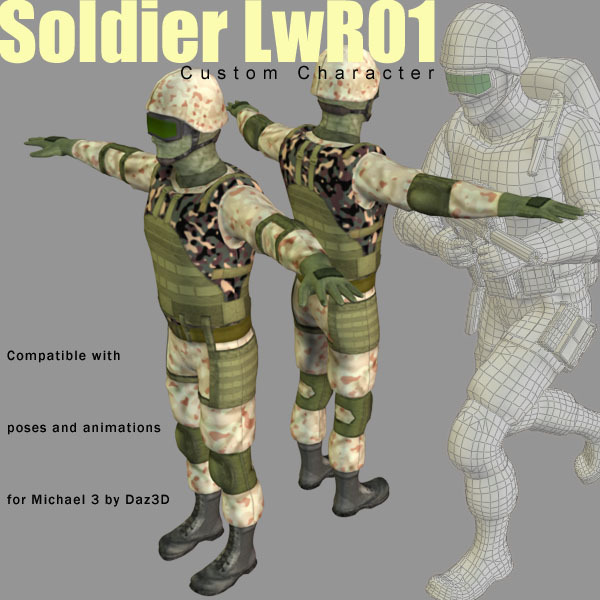 The character is suitable for crowd scenes, it is further customizable by using different props, which creates as many different soldiers as you need. 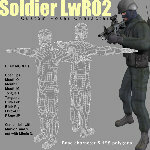 SoldierLwR_02a_full is a preset raider version. 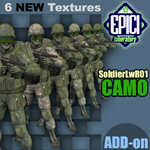 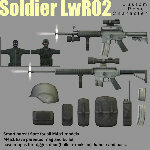 SoldierLwR_02b_full is a preset sniper version. 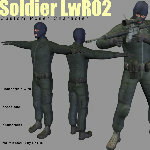 SoldierLwR_02 is compatible with Mimic 1 and Mimic 2, NOT Mimic 3. 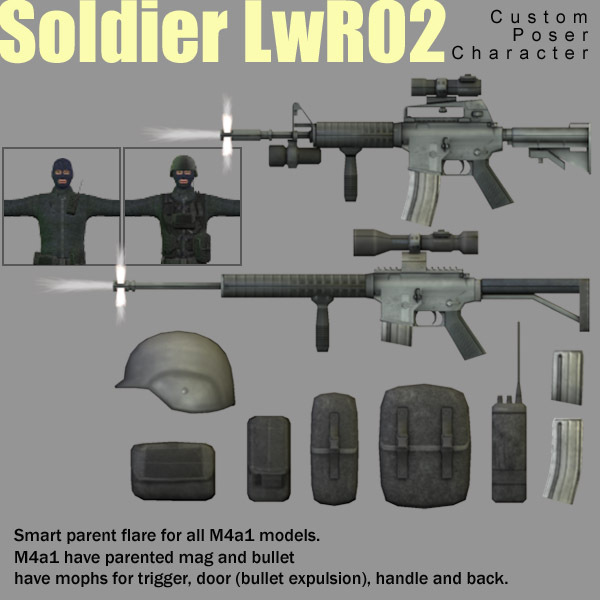 The M4A1 has 2 models with parented loader and bullet and smartparent flare, 1 morph for trigger, handle, door (bullet expulsion) and back. 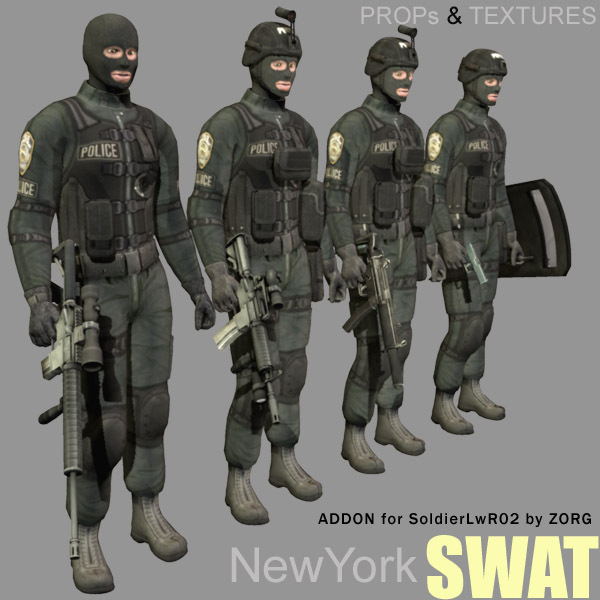 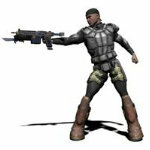 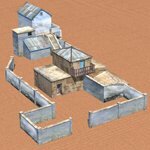 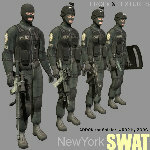 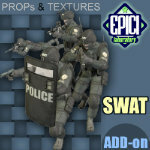 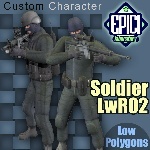 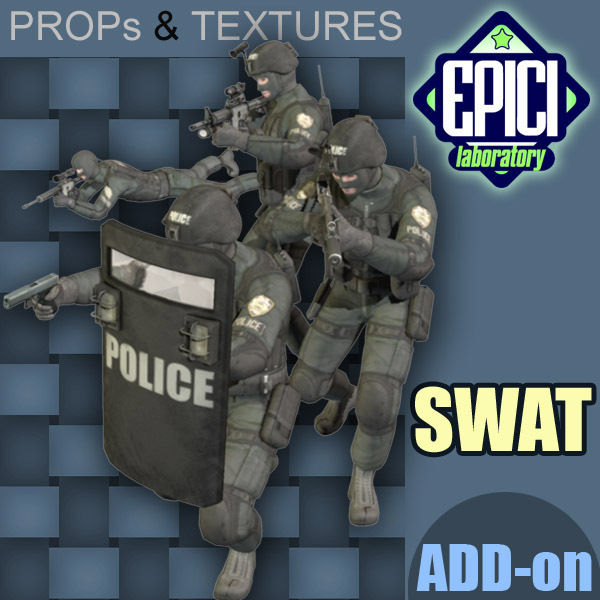 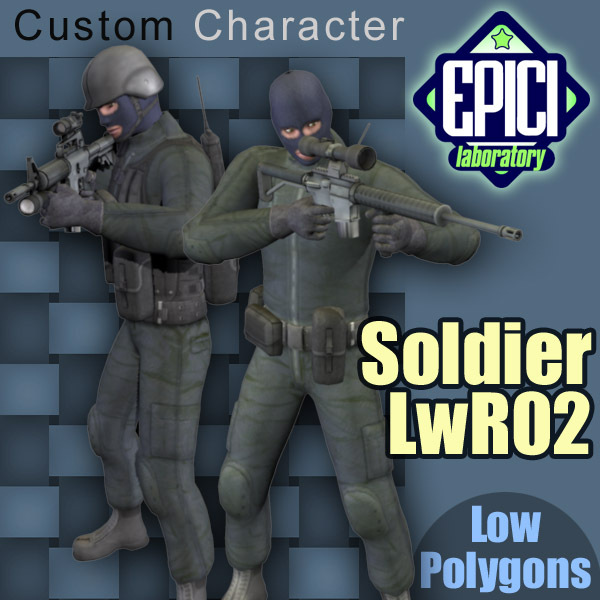 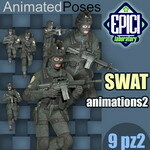 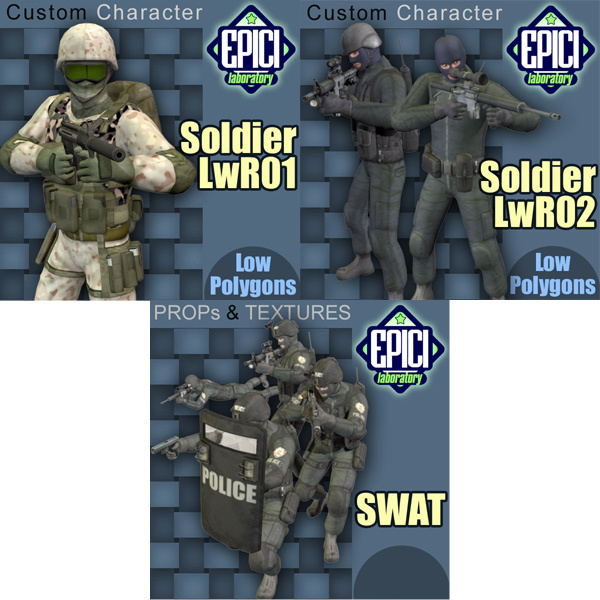 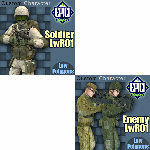 SWAT is an addon for SoldierLwR01 and SoldierLwR02: low polygon models of a Special Forces soldiers. 4 SWAT soldiers fully accessoried, 1 sniper and 3 raiders, with Los Angeles and New York SWAT uniforms and accessories. Mp5sd with parented mag and a morph for trigger, dullet and the back. 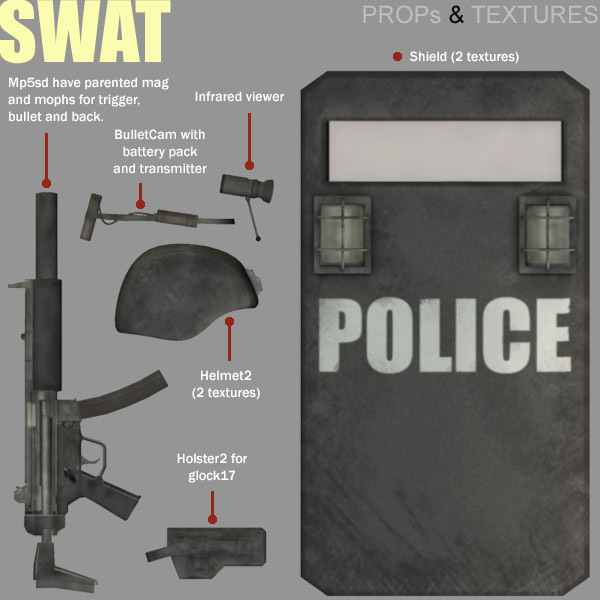 Helmet with "smart parented" bullet cam and infrared viewer. 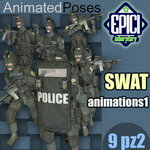 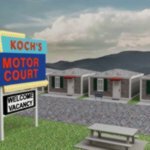 Add 10 or 20 figures to the scene without overloading Poser, CPU and video board. 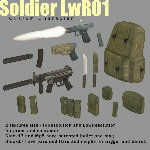 Note: this product requires the previous purchase and installation of BOTH the SoldierLWR01 AND SoldierLWR02. 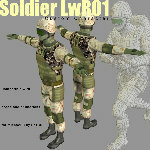 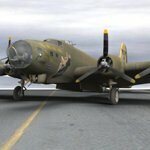 The Poser files in this product reference files which are included in BOTH the SoldierLWR01 AND SoldierLWR02 product files.